A fast option for scanning IP and MAC addresses within a local network. Colasoft MAC Scanner Pro 2.3 was available as a giveaway on June 30, 2018! Colasoft MAC Scanner provides users with a fast option for scanning IP and MAC addresses within a local network. It will automatically detect all available subnets relating to IP addresses that are set up on multiple NICs. It will also scan IP or MAC addresses of user-defined subnets. It will display MAC address, IP address host name, and manufacturer within an easy-to-read interface, grouping all IP addresses according to their MAC address if that MAC address happens to be associated with multiple IP addresses. The scanned results can be exported into .txt file for future reference. How would you improve Colasoft MAC Scanner Pro 2.3? All this for the low low price of $195! Sorry, but I'm not installing any app on my pc that's more expensive than the operating system. 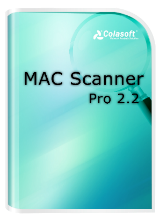 Colasoft MAC Scanner has free (personal, no registration/key) and PRO (commercial) versions. They look identical, except the free version, on startup, has a pop-up mentioning Colasoft's other products. This pop-up is easily dismissed and is less intrusive than those of other free products. The PRO version has no pop-up, but requires registration and is tied to the computer on which it is installed. Both versions maintain an internal database; apparently one can compare a current scan with differences within their database. "Colasoft MAC Scanner will send out ARP (Address Resolution Protocol) queries to the specified subnet and listen to the responses from all the hosts in the subnet, then list the MAC addresses and IP address in pairs." This is a bit different than finding MAC/ip addresses by pinging. (It is possible for some devices to have ping response disabled - my router, for example, does not respond to external pings.) Colasoft MAC Scanner has free (personal, no registration/key) and PRO (commercial) versions. They look identical, except the free version, on startup, has a pop-up mentioning Colasoft's other products. 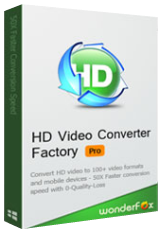 This pop-up is easily dismissed and is less intrusive than those of other free products. The PRO version has no pop-up, but requires registration and is tied to the computer on which it is installed. Both versions maintain an internal database; apparently one can compare a current scan with differences within their database. Fiyinfoluwa Lawrence, did you looked in the Readme.txt? Colasoft MAC Scanner v2.2 was available as a giveaway on December 15, 2011! IPv6 Address. . . . . . . . . . . . . . . . . : 2a02: etc. Temporary IPv6 Address. . . . . . . . : 2a02: etc. Found in c: \ WINDOWS \ system32> Ethernet adapter Ethernet: Connection-specific DNS suffix. . . : home IPv6 Address. . . . . . . . . . . . . . . . . : 2a02: etc. Temporary IPv6 Address. . . . . . . . : 2a02: etc. Link-local IPv6 Address etc etc etc. Is it that? Once you understand the basics of networking, addressing and routes it is really not that hard to decrypt all those numbers. Ootje, can't see all your data but it could be https://en.wikipedia.org/wiki/Multicast_address https://en.wikipedia.org/wiki/Broadcast_address free education: https://www.khanacademy.org/computing/computer-science/internet-intro or YouTube has lots of videos that are meant to educate as well https://goo.gl/6oFHXL Once you understand the basics of networking, addressing and routes it is really not that hard to decrypt all those numbers. Enjoy! ricohflex, Thanks. I thought (and no doubt many did) that it was to do with a Macintosh computer! Thank you. I've taken your advice. I now have information that I did not have in the past. JH, and don't forget my personal favourite which I think is the best. Thanks for pointing out the others, JH. I tried them all, and would gravitate towards Advanced IP Scanner i terms of a more user-friendly interface (such as displaying the manufacturer name of each device discovered. I find Angry IP Scanner's display too sparse in this regard, and you're right that $195 is quite a big ask. If any of the programs out there has bragging rights it is NMap. This was the program I cut my teeth on so to speak 20 years ago. So it's grand daddy of them all - he may not be the prettiest of the bunch but is by no means a light weight. If you are serious about network discovery and monitoring check out Nmap, ZenMap, Ncat, Ndiff, Nping and the rest of the "Nmap" ecosystem. This is what I would label as an "Enterprise" level solution.. not meant for home network monitoring. Robyn, did you select the good ip-range, local subnet? And also looked at the subnetmask: 255.255.255.0 . Robyn, did you select the good ip-range, local subnet? And also looked at the subnetmask: 255.255.255.0 . Maybe 255.255.0.0 can help. Robyn, today's download is by no stretch of anyone's (except the developer's) imagination worth the asking price and as you rightly point out doesn't show IPv6. You can find far more network information from the CMD prompt than this shows. Perhaps the developer would care to explain why this even exists and why such a stupid price ... I won't hold my breath for their feedback.